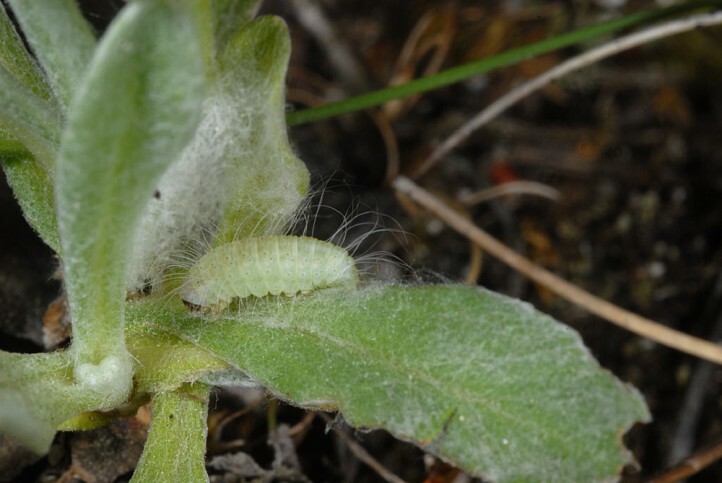 The larva feeds on Helichrysum arenarium. 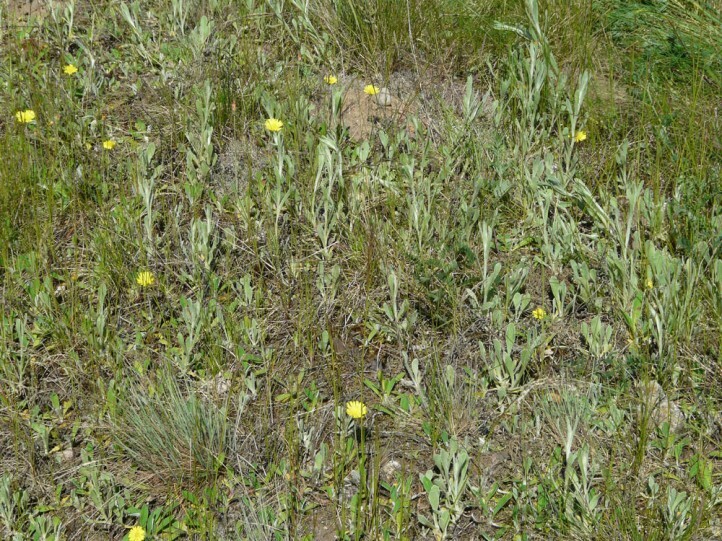 Eublemma minutata inhabits sandy grasslands (often disturbed areas), dunes and similar sandy places with the host plant. The exact hibernation stage seems not to be known yet. 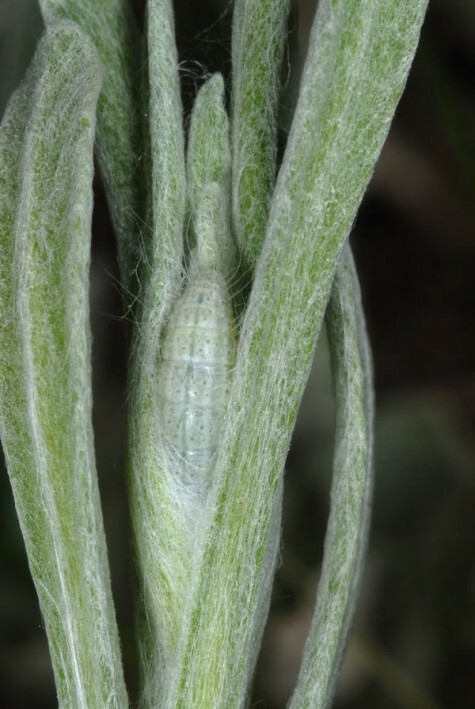 It is either the egg or the yery young larva. 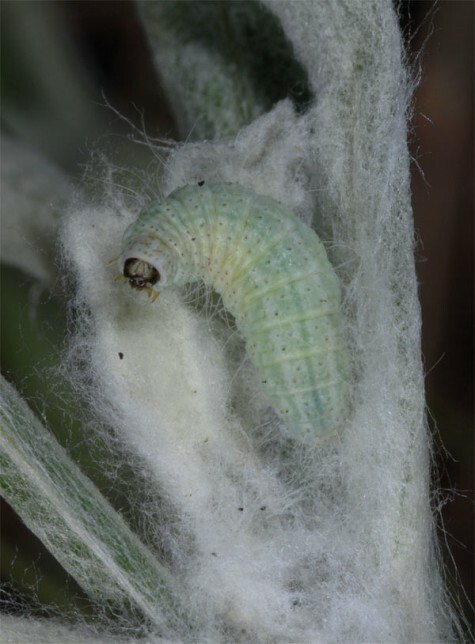 The caterpillars are mature in late May or in June. 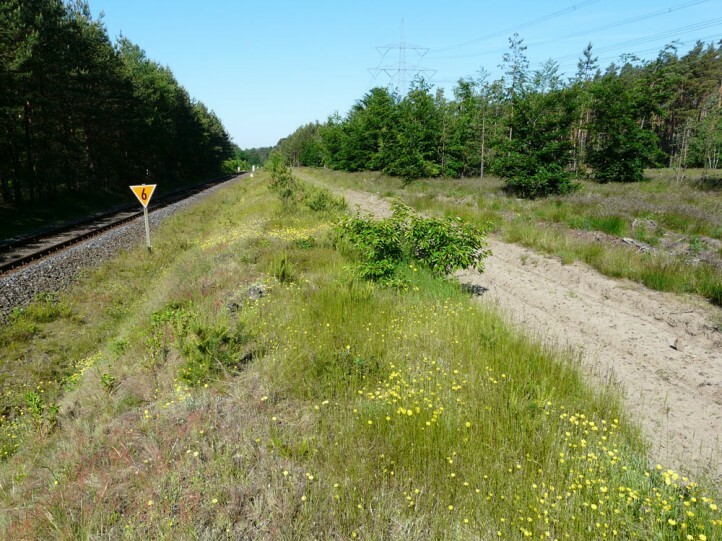 I observed larvae on a sandy embankment along a railway line in NE-Germany (Mecklenburg-Vorpommern) in early June 2013. 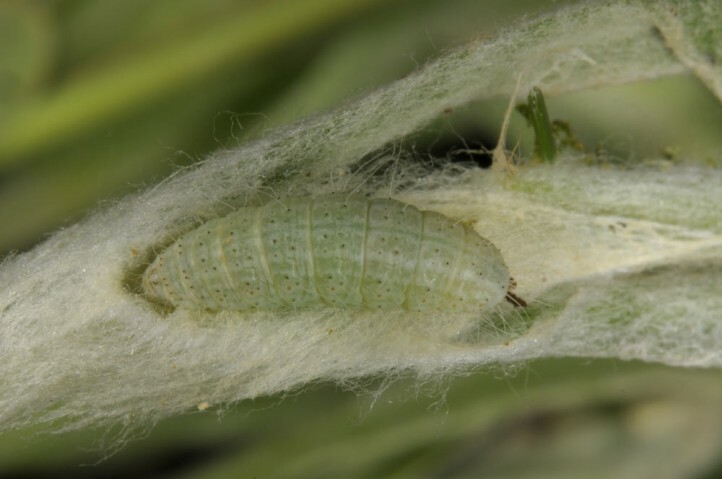 They live most often in a webbed, narrow shelter near the top of the shoots, but occasionally also between leaves or near ground level in retarded shoots etc. 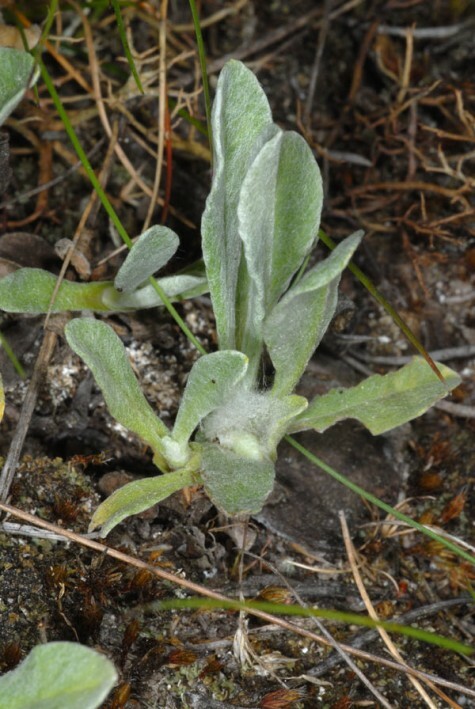 They partially cause a kind of mining when feeding and tend to drill into the tip of the shoots in order to excavate the stem etc. 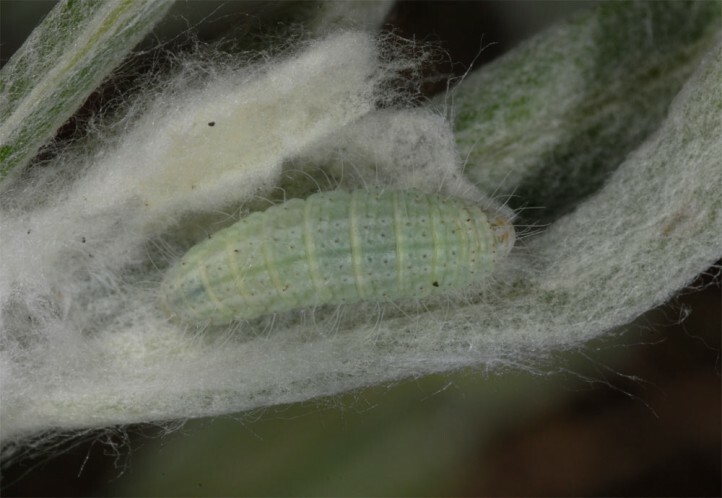 Pupation takes place in a small whitish webbing at the plant, preferably beneath developing inflorescences. 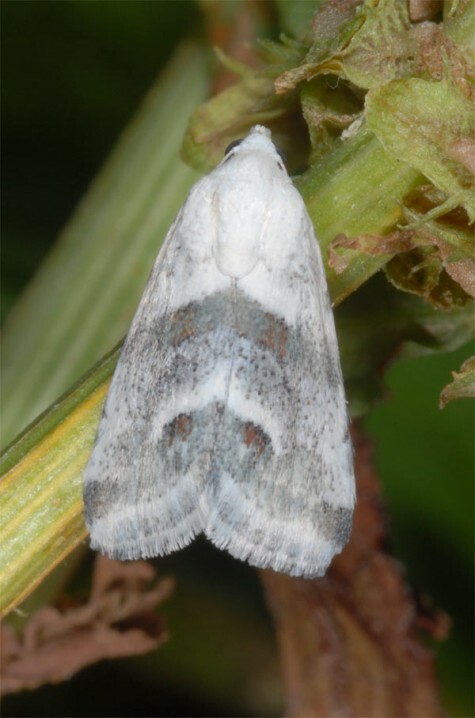 The moths are on the wing between June and August with clear peak in July. They are quite sedentary and usually rest head down. 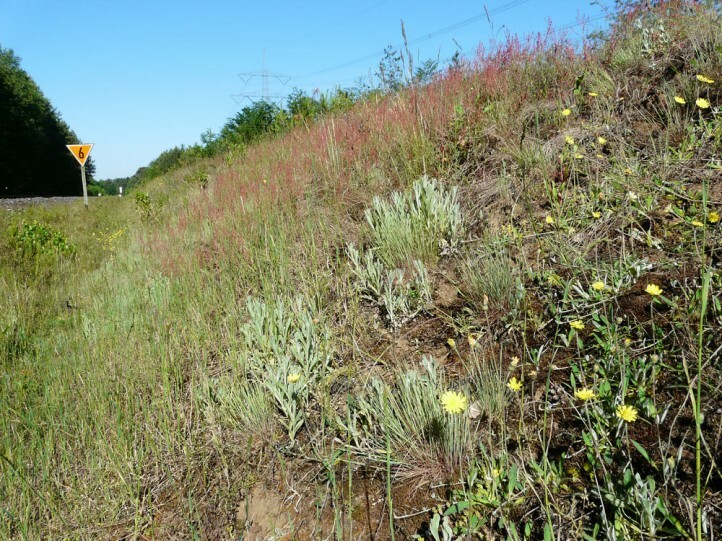 The southern border of Eublemma minutata runs from Northern Spain across Northern Italy to the Balkans, but it is very rare and sporadic there. It is a bit more common further north from southern England across Belgium and northern and parts of Central Germany into the southern half of Scandinavia and across Poland and the Baltic countries to Russia. In literature there are also records from parts of Asia.